A Hans Meevis masterpiece is a miniature work of art. Stop by to experience the friendly and artsy atmosphere in the studio that makes your visit a truly charming experience. 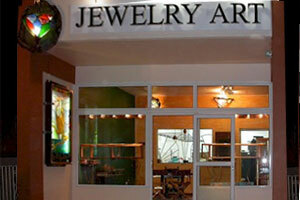 Have your jewelry cleaned while you browse through the treasures in our jewelry showroom. The essence of Sint Maarten is captured in these unique custom hand-made jewelry creations. We love what we do and take pride in the quality craftsmanship and unique artistic jewelry designs.